Here is alphabetical list of vegetables for you. You will also find pictures of vegetables here. 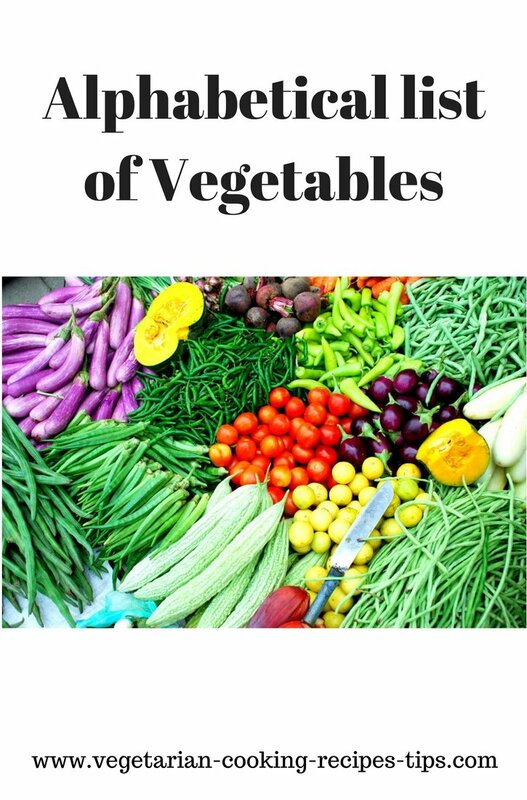 We have received emails from students, housewives and other visitors telling us how they find this vegetable list useful. We appreciate the feedback and suggestions. That is, some of these are actually fruits but are used as vegetables. So they are included in this list. We are still adding to this vegetable list. If you have any other vegetables in your part of the world, please send us the name and the picture (if possible) so that we can add it to this list. If any vegetable is missing, let us know by using our contact form. Eat Your Vegetables and Be Healthy! - Flowery part of a plant. Used in Europe. - flowering plant species . Only the young shoots of asparagus are eaten. 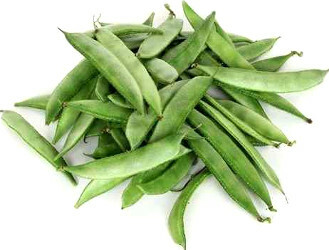 It has medicinal properties that help in cleansing and healing. 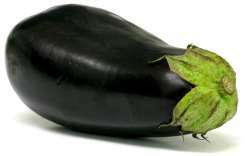 It is a fruit of a plant and use as a vegetable. In Indian languages,chapparada avrekai (Kannada), ghevda (Marathi), vaal papdi (Gujarati) etc. has recently grown in popular in the United Kingdom and other countries. 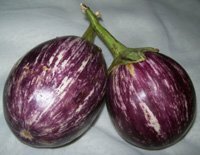 Chayote - Known as cho-cho, sayote, pipinola, pear squash, vegetable pear, and choko, Bangalore brinjal, Squash. 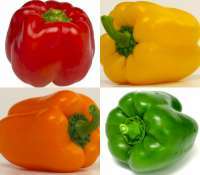 Capsicum - Available in red, green, orange and yellow varieties. Called Pepper in America. 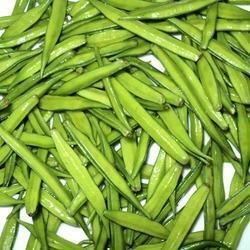 In India green capsicum is commonly available. Celeriac / Celery root - Can be eaten raw or cooked. 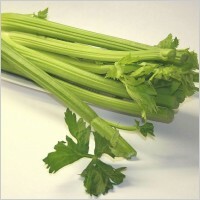 Celery - leaves, seeds, stalks are used in cooking. 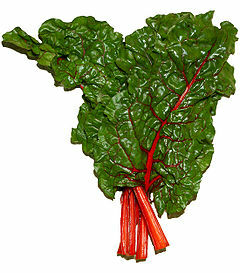 Chard - Similar to beets. With green leaves and red stems. 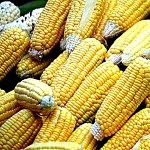 Corn / Maize - North American native vegetable. Cress - small peppery sprouts. Known as Halim(Hindi), Aliv(Marathi), alavibija/ allibija (Kannada) etc. Cauliflower / Phool gobi / hookosu - Cabbage family vegetable. Mostly the white head is eaten raw or cooked. The leaves and the stem also can be eaten. 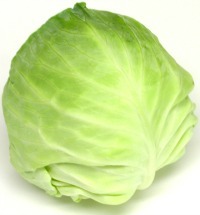 Cabbage - Gobi - Kobi - Kosu is available in green and purple varieties. Used to make subji, snacks, salads etc. Carrot - Gajar - Gajjari is a root vegetable. Available in orange, red, yellowish varieties. Used to make sweets, salads, snacks, vegetable side dishes. 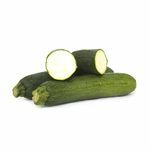 Green cucumber - Traditionally used raw in salads. 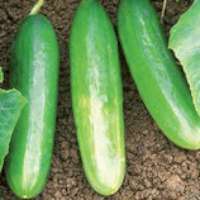 The cucumber grows quickly and holds lots of water. Good to use in summer salads. 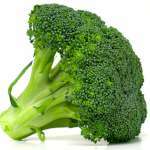 - Leafy green dill is good for digestion. Dill leaves can be used raw in salads or cooked along with lentils. 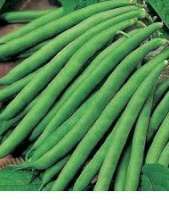 - Morianga or drumstick is known as Sehajan/sahajan ki phalli(Hindi), shevgyachya shenga (Marathi), Nuggekai (Kannada), Muringakkai (Tamil) . Leaves and pods are used in cooking. Very nutritious and has medicinal properties too. 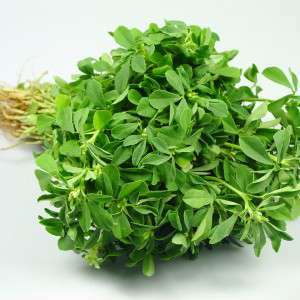 Fenugreek leaves are known as Methi (Hindi, Marathi, Bengali, Gujrati, Konkani, Oriya). Menthye soppu (Kannada), vendhaya keerai(Tamil), mentu akulu(Telugu). 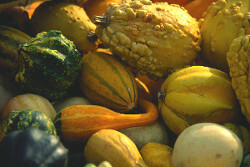 Gourds - It is a fruit vegetable. Bitter gourd, bottle gourd, white gourd, snake gourd, cucumbers, squashes, and melons. In other Indian languages it is known as chapparadavare, chikkadikai (Kannada), avari, mochai (Tamil), anumulu, chikkudu (Telugu), mochakotta (Malayalam), sem, ballar (Hindi), val papdi (Gujarati), pavta, val (Marathi), lilva. The skin is removed and the seeds/beans are used. The skin is not edible by us. Skin is used as cattle feed. Known as avarekalu/ avarekai(Kannada), pavta (Marathi). The beans after the outer skins removed are used in snacks, curries, rice dishes etc. 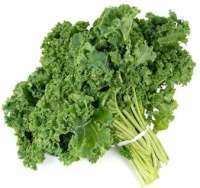 Kales is a variety of cabbage but the leaves do not form a head. 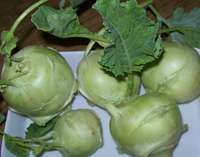 Kohlrabi - knolkol - Navalkol is a member of the turnip family. It can be either purple or white. 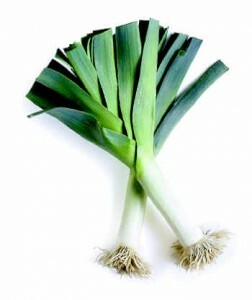 Leeks - The national vegetable of Wales. Mushrooms - not technically a vegetable, but a far older member of the plant kingdom. Mushrooms do not use sunlight to produce energy, hence they have a completely different range of tastes than any other vegetable. katuku keerai (Tamil), Ava akulu (Telugu), mohorichi pane (Marathi), etc. 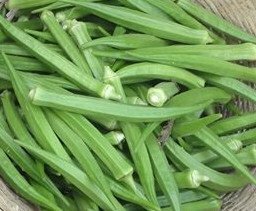 Okra - also called 'ladies fingers' or gumbo. African staple, is popular in Europe, Asia and America. Onion - Available in red, white. Also in small and big sized. Parsnip - The sweet, starchy parsnip is a root vegetable. - These are the fruit of the Capsicum family of plants. The hotter tasting ones are usually referred to as chilies. See bell pepper. Potatoes - Everyone loves potatoes, a root vegetable. 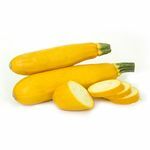 Pumpkin Yellow - A popular gourd vegetable used in cooking. In Indian languages, pumpkin is known as kaddu (Hindi), bhopla (Marathi), kumbalkai (Kannada), poosanikai (Tamil), Gummadi Kayi (Telugu) etc. Red and green pumpkin is also available. The insides of all pumpkins is yellowish / orangish. Red radish / Daikon Radish - rich in ascorbic acid (vitamin C), folic acid (foliate), and Potassium, the radish is a peppery vegetable popular in western and Asian cookery. The leaves can also be eaten in salads. 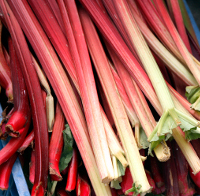 Rhubarb - A plant with large leaves. China but has been popular in Europe since Roman times. 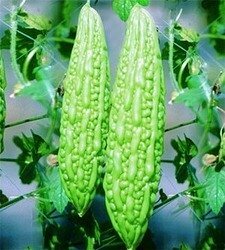 Ridge gourd / Luffa is known in Indian languages as dodka, turai, hirekai etc. Rutabaga - Alternative name for Swede. 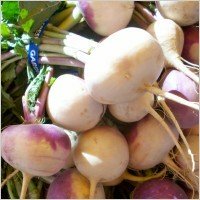 Is also known as swedish turnips, yellow turnips, neeps and tumshies. 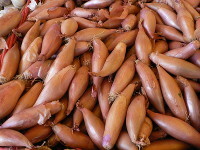 Shallots are - Small onions in red and white color. Also known as Pearl onions and baby onions. 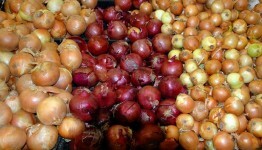 Small red onions are also known as madras onions or sambar onions. They grow in clusters and may be roundish or elongated. They have a mild, sweetish taste and flavor. of healthy trace minerals including iron. 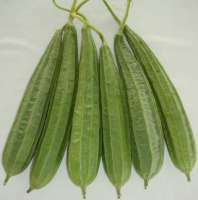 Snake gourd is known as chichinda (Hind), Padval (Marathi), Padolkai/ padvalkai (Kannada), poodalankai (Tamil), potlakaya (Telugu) in Indian languages. Snake gourd is used to make curry, dry subji with chana dal, fritters, stuffed with spices etc. Sweet corn - a north American native plant loved throughout the world. Sweet potato - a starchy tuber, a root vegetable. Sweet potato is known as gensu (Kannada), ratale (Marathi), shakarkand(Hindi). Green tomato and Red ripe tomato - a fruit, used as a vegetable . Tomatoes are best grown yourself. 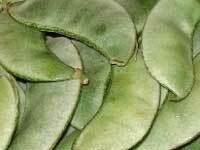 Ash gourd / White gourd - Known as petha(Hindi), boodh kumbalkai(Kannada), kohala(Marathi).